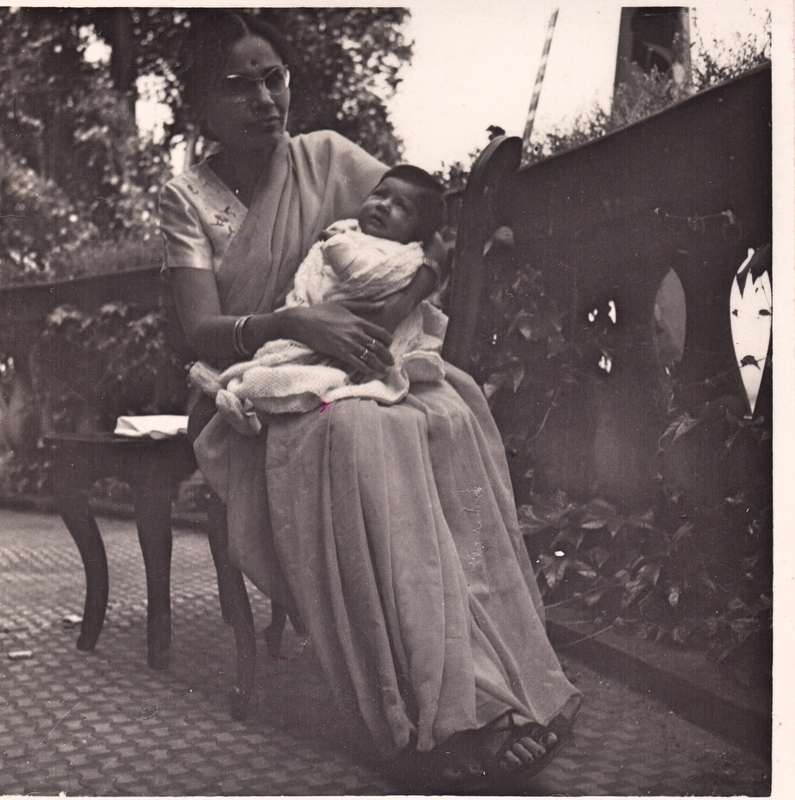 I learnt about the importance of education at my mother’s knee as she shared with me her passion for learning. That small town girl born in times where women were not educated and married in their teens had such an incredible and almost illogical love for education that she left no stone unturned to fulfil her desire to learn. From hunger strikes to mellow her Gandhian father to accepting every condition thrown her way, she never faltered and went on to acquire every degree in sight. It is education that allowed Kamala to break all barriers and and the freedom fighter’s daughter would go on to become a- Ambassador’s lifelong partner . I realise today that with every story she shared she was imbuing me with her love for learning and crafting the person I would become as well as paving the road I would walk on. I often tend to forget how much I owe her and how much she has influenced the way Project Why has gone. It is her never-say-die attitude in the face of adversity that propelled me to never give up even if the challenges were daunting. I knew there was always a way, you just had to find it or simply create it. 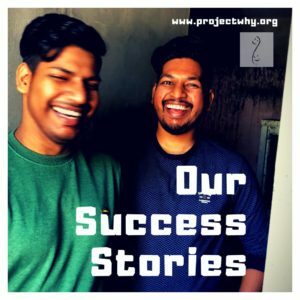 That is how over the past two decades now, Project Why has overcome every challenge no matter how insurmountable it may have seemed. When Sophiya told us about the plight of the Okhla children I knew that a way had to be found and education had to be brought to these kids even if the only space was a garbage dump. Today I am reminded of St Exupery’s word when he said: “A pile of rocks ceases to be a rock when somebody contemplates it with the idea of a cathedral in mind.” That is how one felt when one first saw the Okhla garbage dump. 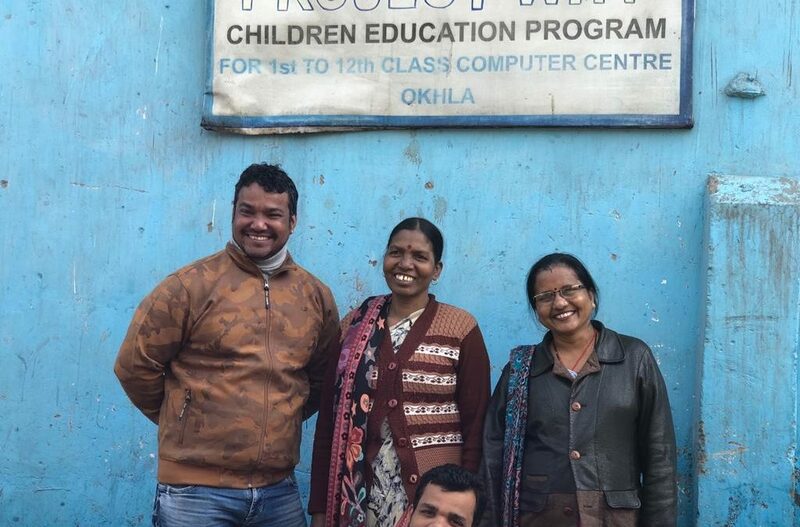 We all saw a school teeming with happy children learning and laughing and that is what the Okhla centre is today! I now see the spirit of Kamala in all the incredible women who impart their love for education to the Project Why children. I see her in Pushpa, in Sophiya, in every one who has been part of this journey. I see her spirit in all the young girls who come and learn at Project Why. I see the same hunger in their eyes and I know that they are on their way to fulfilling their dreams. Today, when our Okhla Centre is in danger of being closed, it is her spirit that once again propels me to do everything possible to ensure that this does not happen and I know that she is watching us and conjuring the miracle we need. Kamala’s love for education was unconditional. My fight for saving Okhla has to be unconditional too! It is Valentine Week, a week when one celebrates love and honours it. 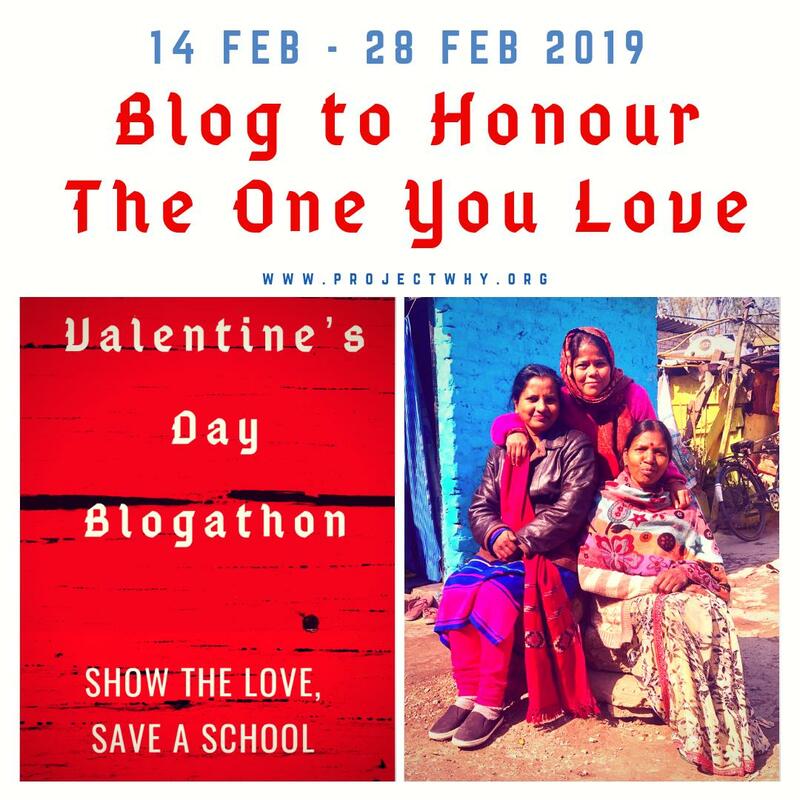 This year would you consider honouring the one you love by helping us save our Okhla school? 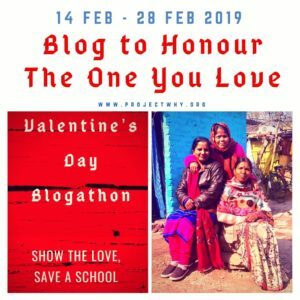 If you’re a fellow blogger, please consider joining the Valentine’s Day Blogathon. Write one or more posts to talk about love, any kind of love at all, and about honouring the ones you love. All we ask is at the end of your post, you mention the fundraiser, link to it, and add the graphic above. 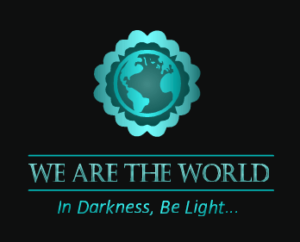 We will start off a linky list where you can add all your posts. You can support the #HelpMithuSaveSchool fundraiser to save the Okhla school HERE. If you’re not a blogger, send in a small amount to support the fundraiser, and share it on social media so others can do the same. Every bit adds up. Let us celebrate this Valentine’s day with an unconditional love for education.